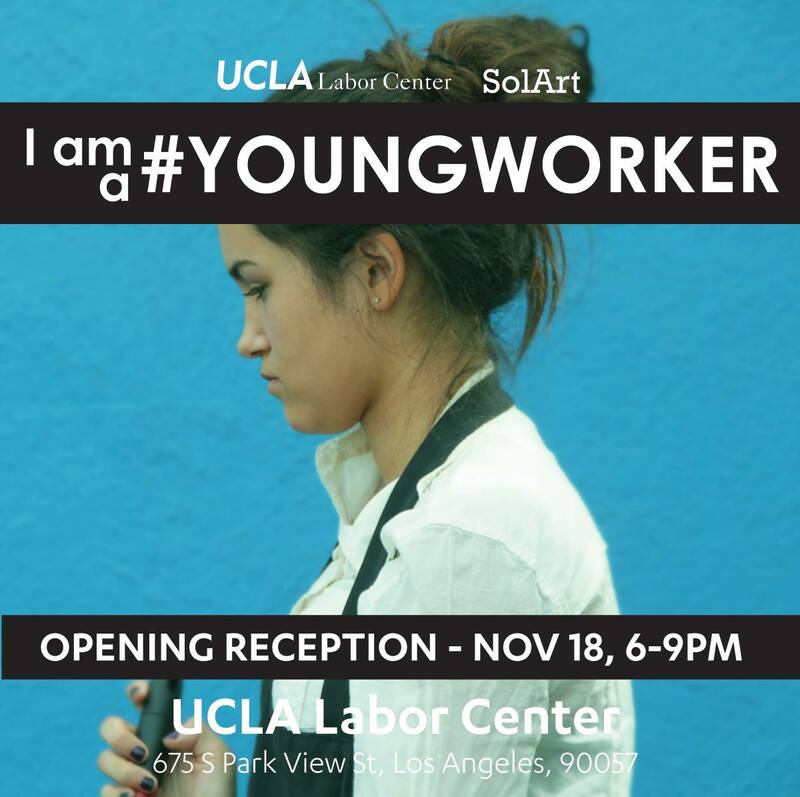 Join us for the opening of our Young Worker Photo Exhibit & Report Launch. View photographs by SolArt capturing the daily lives and experiences of Los Angeles’s young workers. Refreshments and live musical performance by singer songwriter Diana Gameros and theater activity by Teada Productions. I am a #YoungWorker is a multimedia research project that combines data, stories and images by and for young people. It gets to the core of what young workers face today– their struggles, their dreams, and their hopes for the future. -Over half of young working people in Los Angeles (57%) are employed in low-wage jobs. -Young people are more educated than ever before, yet they have seen their income decline over time, a 10.8% decrease since 2000. -Young people experience a higher unemployment rate (16.8%) than other workers (9.2%). Young black workers experience the highest unemployment rate at 28.4%. Photographs, audio, & video curated by SolArt | Carla Zarate, Sali Heraldez, Florencia P. Marano, & Carole Sabourad.